Tim Dixon of the University of South Florida is working to develop a new, integrated approach for monitoring, verification, and accounting of carbon dioxide (CO2) sequestered in deep geologic repositories. Interest in terrestrial carbon sequestration has increased in an effort to explore opportunities for climate change mitigation. 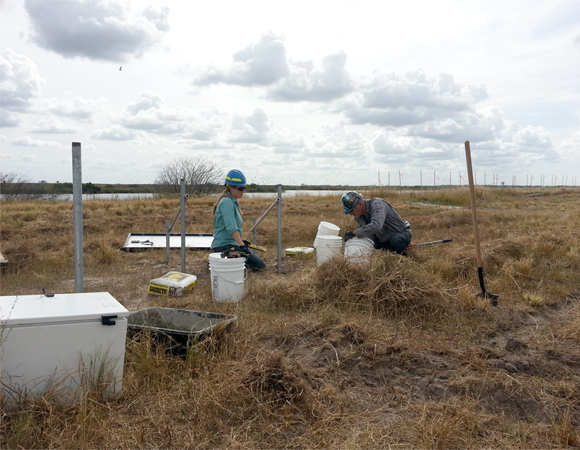 In October of 2011, three continuously operating GPS stations were installed in Houston, Texas as part of this sequestration monitoring project. Data gathered from these stations over the course of the past year suggest that injection of CO2 into depleted oil reservoirs causes significant surface deformation near the injection wellheads. 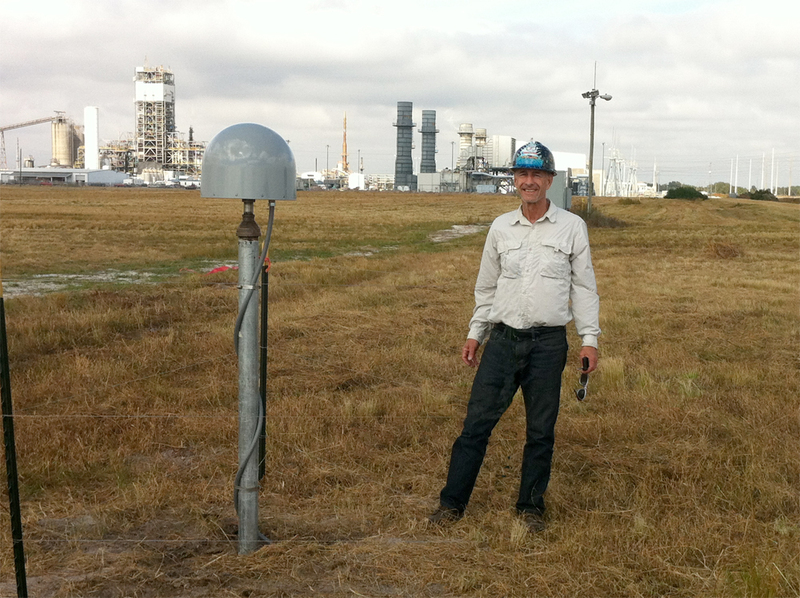 In light of these results, Dixon utilized UNAVCO engineering support for the installation of an additional continuous GPS station at a Tampa Electric Company (TECO) coal plant southeast of Tampa, Florida. The station is located less than a half a mile from a well-head where TECO is experimenting with injecting wastewater for underground storage. Dixon hopes to eventually install more GPS stations in different locations on the same property to watch for any surface deformation associated with the injection of this wastewater. Capture: whereby CO2 is removed from the gasses produced from coal burning plants. Transport: CO2 is moved via pipeline from the coal plant to the location where it will be stored in the earth. Injection: the CO2 is compressed into a liquid and injected into underground reservoirs. These are typically depleted oil and gas reservoirs, but could potentially include unmineable coal beds and deep saline formations. Figure 1. 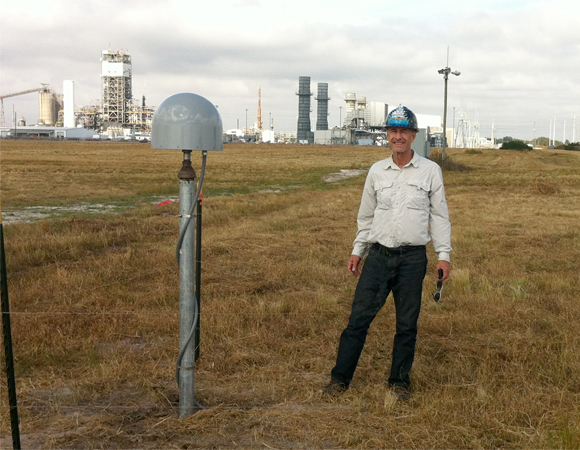 Dr. Tim Dixon stands in front of his GPS antenna that will monitor ground motions associated with the injection of wastewater into a nearby well. Photo by Sarah Doelger. Figure 1. 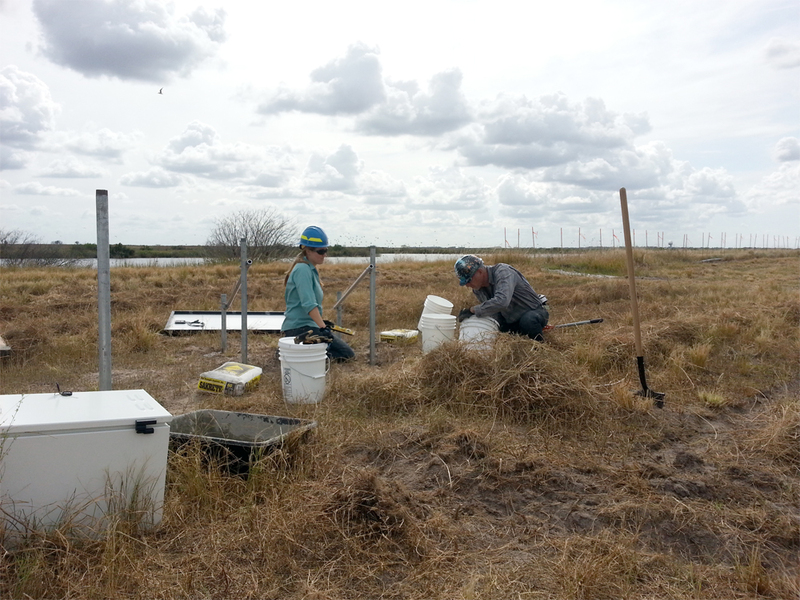 Dr. Tim Dixon and Sarah Doelger mix cement to anchor a solar panel and GPS receiver enclosure. Photo by Keith Williams. Current research, in addition to Dixon's, aims to determine whether carbon sequestration is an economically and environmentally sound process. Proponents point out that CO2 released from coal fired power plants currently accounts for half of the annual CO2 emissions in the US and that not dealing with this existing pollution could be extremely detrimental to the environment. Detractors, though, are wary that the inherent energy requirements and expenses of carbon sequestration are worth the payoff, arguing that funds are better spent on developing alternative energy sources. About one thing, however, most are certain: Carbon sequestration will require more research before the process is ready to be used on a large scale.